Great news, Starwood and American Express have rolled out an increased sign-up bonus for their SPG credit cards. The typical sign-up bonus is 25,000 points, this offer will give you 35,000 points with a bit more minimum spend requirement. The annual fee is waived on both cards the first year, and you can cancel the card after one year and still keep the points. Which card should you go for? The business version does require a bit more spending, $5,000 to earn the 25,000 points and $3,000 more to earn the extra 10,000 points. Keep in mind you do not need to own a business to be approved for an American Express business credit card, read more here. Also, Amex business cards DO NOT report to your personal credit report, that means Chase won’t see this card on your report. This essentially helps you fight Chase’s 5/24 rule by flying under the radar. If you and a spouse each sign up for one of the SPG credit cards, that will earn you 40,000 SPG points each (at minimum). Remember, even while meeting your minimum spend you are earning 1 point per dollar on your SPG credit card. 35,000 base points + $5,000 in minimum spend = 40,000 total SPG points. Starwood DOES allow accounts to be merged if the account holders live at the same physical address. If you and a spouse each earn 40,000 SPG points, they can be combined for a total of 80,000 SPG points. Keeping in mind that you can transfer to Marriott at a 1:3 ratio, that means your combined 80,000 SPG points will yield you 240,000 Marriott points. Wow! Companion Pass requires 110,000 qualifying points to be earned in a single calendar year. If you redeem 250,000 Marriott points for a “hotel + air” package, 100,000 Southwest points will be credited to your Southwest account. You’ll also receive 7 free nights at any Marriott hotel category 1-5, which must be used consecutively at a single hotel. This transfer from Marriott does qualify towards Companion Pass until March 31st, 2017. You can read more on that debacle here. This is probably the most overwhelming aspect for you, I can understand. How are you each supposed to spend $5,000+ in a short window? Fortunately, you can use Plastiq to pay for almost any bill, including mortgage, rent (they mail a check to your landlord), car payment, student loans, etc. They do charge a 2%-3% fee depending on your credit card, but it may be worth it. Keep in mind, you can pay bills for friends and family and just have them pay you back, you have to get creative sometimes. Let’s say that you have to fork over $150 in Plastiq fees to meet your minimum spend, Companion Pass is worth over $3,000 in free flights! If you are able to use the 7 nights at a Marriott hotel, that can easily be worth an additional $1,000 in value. Don’t let a few hundred dollars in Plastiq credit card fees scare you off. Of course, if you can avoid paying fees and meet your minimum spend organically, more power to you. Also, don’t EVER spend money just to spend money, we are trying to travel for FREE. If you don’t care to receive Southwest Companion Pass, the 40,000 SPG points can still get you a ton of value. You could transfer 20,000 SPG points to Alaska Airlines and net 25,000 points (25% bonus). Do that one more time and you’ll have 50,000 Alaska MileagePlan miles. With 50,000 Alaska miles you can do a lot! You can travel round-trip on American Airlines to Europe, during off-peak, for only 40,000 miles! Yes, you can use Alaska Airlines on partner airlines like American or Emirates. If you want to fly to Asia in lie-flat business class, you can do so for only 50,000 Alaska miles one-way. Cash price for this flight would be about $3,000 one-way! 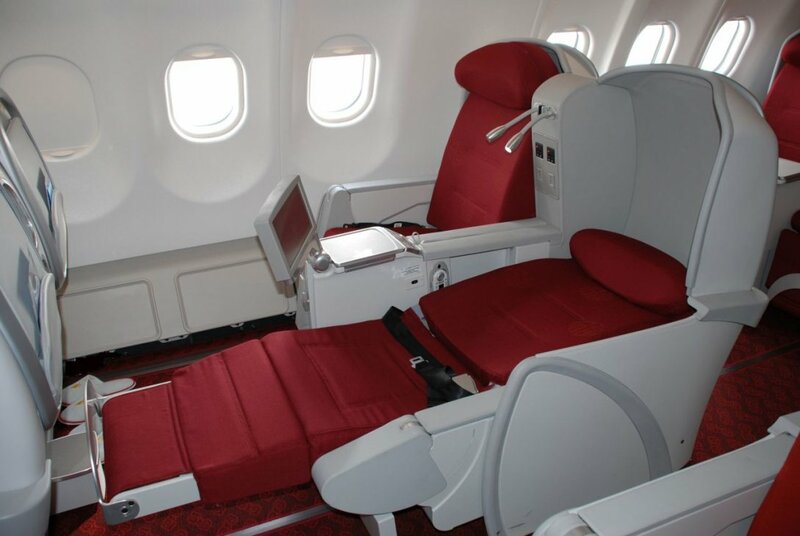 Use your 50k Alaska points on either Cathay Pacific or Hainan Airlines for a seat “up-front”. You’d be looking at a 13 hour flight from Seattle to Shanghai in lie-flat for just 50,000 miles, from ONE SPG credit card bonus. I hope I’ve given you some good value propositions on why you should jump on this SPG “improved” credit card offer. Do note, the SPG credit card sign-up offer can only be earned ONCE PER LIFETIME, per card. You can earn the business card and the personal card bonus only once. You and your spouse can each receive the bonuses independently and then later combine them into a single account.